the PROJECT – 360 was engaged to provide project management services to renovate a fully operational hospital kitchen serving 400 patients, 3 meals per day and supporting multiple retail venues throughout the hospital campus. 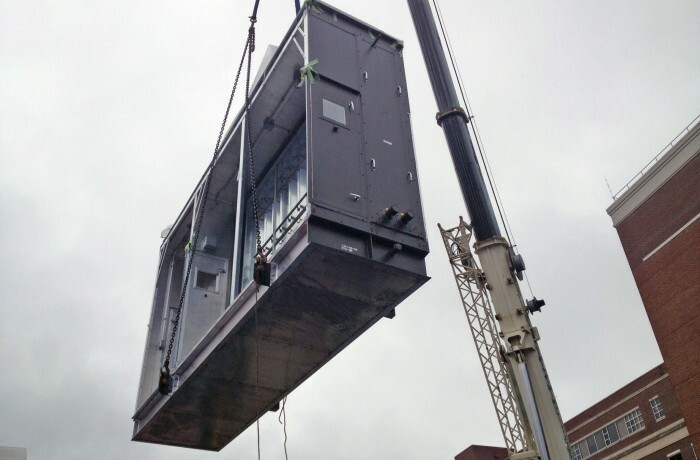 Much of the scope included replacing all of the food service infrastructure including air handlers, HVAC distribution, electrical distribution and sanitary waste lines to new grease interceptors. the CHALLENGES – During the renovation process, it was imperative to keep the kitchen fully operational, not to disrupt service to patient and hospital patrons at any time. Occupancy in the kitchen would have to be maintained through temporary certificates of occupancy in a very sophisticated and diligent municipality. All the while, making safety a priority through infection control measures to adjacent spaces including retail cafes, meeting spaces, private offices and ongoing kitchen services. the OUTCOME – Over the course of 13 months and 6 phases, the hospital was able to maintain all food service operations in their space while never missing a meal period or ever minimizing offerings. Over 1 million patient meals were provided during the course of construction.